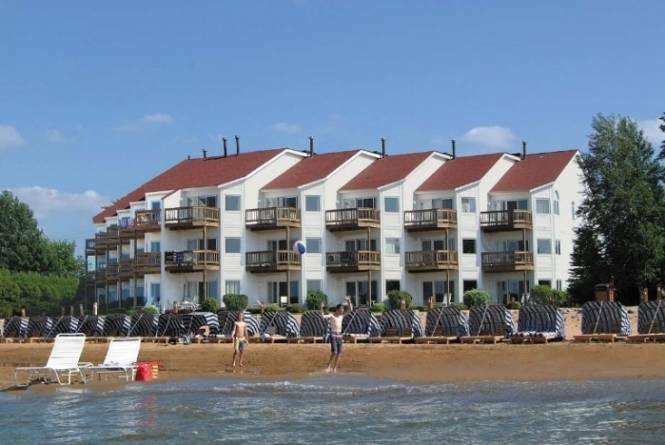 750 square foot one bedroom bay front condominiums on East Grand Traverse Bay. 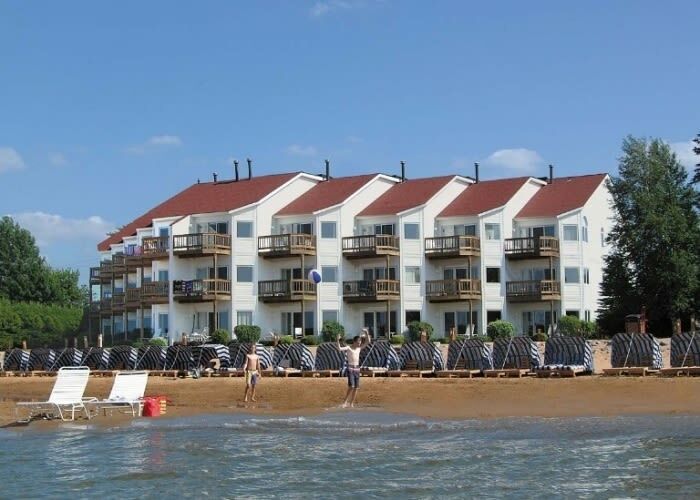 Each condominium sleeps 4 people and features a private bedroom, living room, with sleeper sofa, full kitchen, two-person Whirlpool bath, and has a private balcony or first floor walkout. The property includes 267 feet of sandy beachfront and an outdoor heated pool and spa. Secure wired high-speed Internet is installed in all condominiums. Daily, midweek, weekend and 5-day specials. 7 miles from Turtle Creek Casino.